A federal appeals court has ordered the US military's ban on openly gay troops to remain in place indefinitely while a legal battle is fought over the policy. 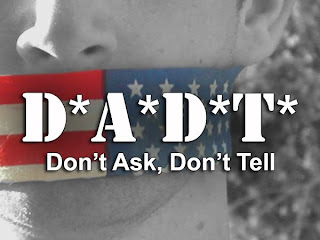 The court had last month issued a temporary injunction blocking a judge's ruling that overturned the 17-year-old "don't ask, don't tell" law. The government argues that it should stay in place until the military has devised a new policy. The ruling means troops can still be discharged for being openly gay. The Obama administration has voiced support for ending "Don't ask, don't tell" but argues that any repeal of the policy should be undertaken by Congress, not the courts. The Pentagon is currently assessing the impact that allowing openly gay servicemen and women may have on military readiness and effectiveness, and is due to release a report on 1 December. Over the past few weeks, the defence department has been bounced between legal rulings first allowing, then denying, homosexual men and women the right to enlist. Ten days ago, US Defence Secretary Robert Gates issued a new mandate that only five senior officials, all civilian, could expel someone from the military for being gay. Prior to this change, a large number of less senior officials, both civilian and military, could decide to discharge gay servicemen and women.